Hu, a first generation college student is currently working on her Master's degree in Accountancy and her decision to study abroad in the U.S. was because of the conversations she had with American professors in China that America is a desirable place to attain a graduate degree. Adding that she love numbers and that having a Master's degree will qualify her to take the Charter Public Accountants (CPA) exam. When Hu first arrived in Tempe in Fall '16 she noticed something really peculiar about how people interacted. "People frequently ask me "how I am" but I feel that they never really care about me" said Hu. After a couple of weeks and a few American friends later, she found out that this is how people say "Hello" here. Growing up in the small town of Jurong in the Jiangsu province of China, Hu says that she did not enjoy the dry and 100 degree weather in August. Adding that while she doesn't get to see red leaves fall from trees but the joy of not needing to wear layers of thick clothes is something positive. In the same semester, Hu came across CIS through an article published by ASU's Chinese Students and Scholars Asssociation (CSSA) and thought that CIS was a subdivision of CSSA. After joining the coalition she realized that CIS is not part of CSSA as everyone was communicating in English but she sees this mistake as a blessing in disguise as CIS has helped her see ASU from the perspective of different cultures. Furthermore, Hu notes that her spoken English has improved since joining CIS as she had to communicate with other members in English in order to present and defend her ideas. According to Hu, International Night was by far the most exciting thing she has done as a CIS member. She describes her experience tabling for International Night as a golden opportunity to practice her spoken English. 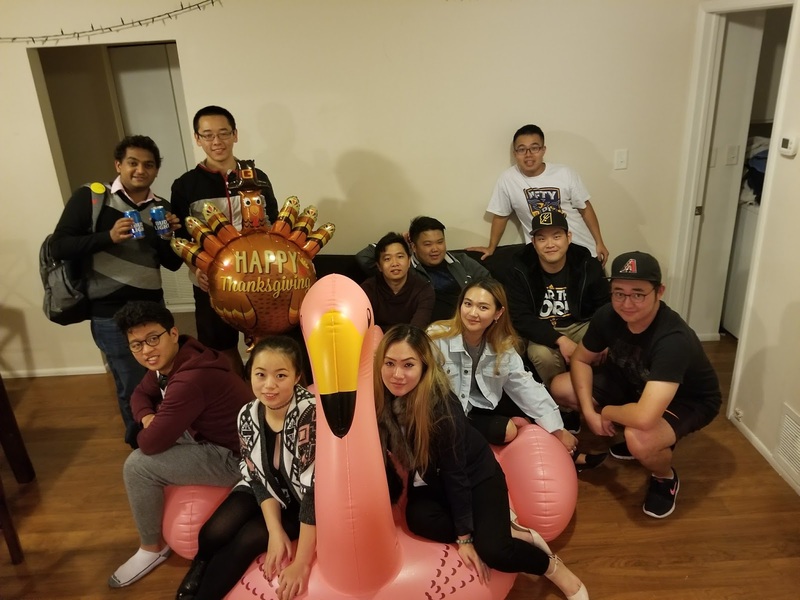 "Introducing International Night to strangers and domestic students is real exciting as they feel surprised to learn about such a diverse event" says Hu. Besides that, she strongly believes that CIS has helped her to not only experience American culture but also culture from all around the world because CIS members come from everywhere. The decision to further her studies in the U.S. ended up being a worthwhile experience. She says that her ambition was to be a teacher just like her mother. But after coming to the U.S. she had broader visions to become a business consultan for a major corporation. In addition to that, it is also here in the U.S. that she realized the value in voicing out her thoughts. Hu says that in China, stating your opinion in the public is considered rude. In contrast she admires the respect she receives when voicing out her opinion here in the U.S.. Adding that she feels more confident that she was before. "One day you will graduate from ASU but the friendships you make will last forever" say Hu regarding the friends she made during her time at CIS. She believes that CIS is not just a place to improve your interpersonal skills but also a place to build strong friendships that will last a lifetime.